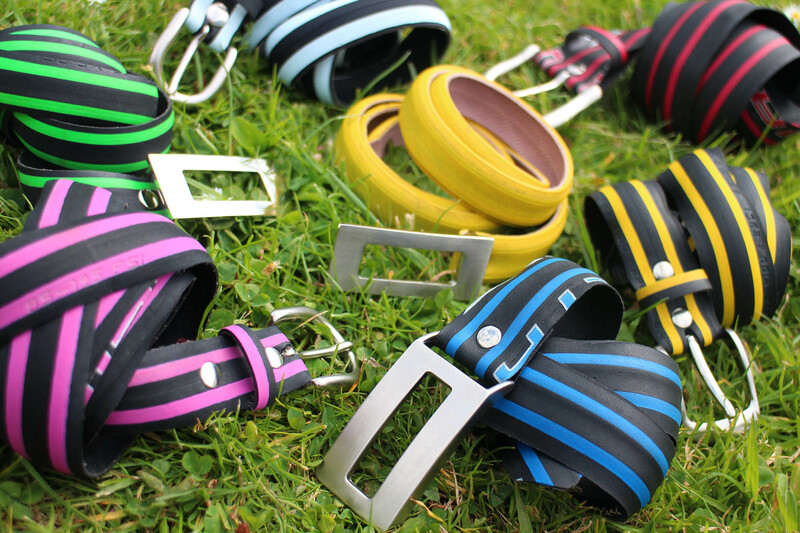 London-based fashion designer Laura Zabo works with discarded tyres that she saves from a future in landfill, to create an environmentally-focused selection of belts, jewellery, dog accessories, guitar straps, handbags, clothing, and home decor that have serious green credentials. London-based fashion designer, Laura Zabo, has drawn on not only her own lifestyle choices but also her life experiences to create her remarkable range of handmade and cruelty-free fashion accessories. Laura’s upcycling journey began two years ago while she was exploring the beautiful country of Tanzania and caught sight of some handmade brightly-painted sandals at a Maasai market. These innovative sandals were made entirely out of repurposed car tyres, and she immediately fell in love with the idea that functional products could be created out of trash, and knew that she simply had to share this brilliant idea with the world. 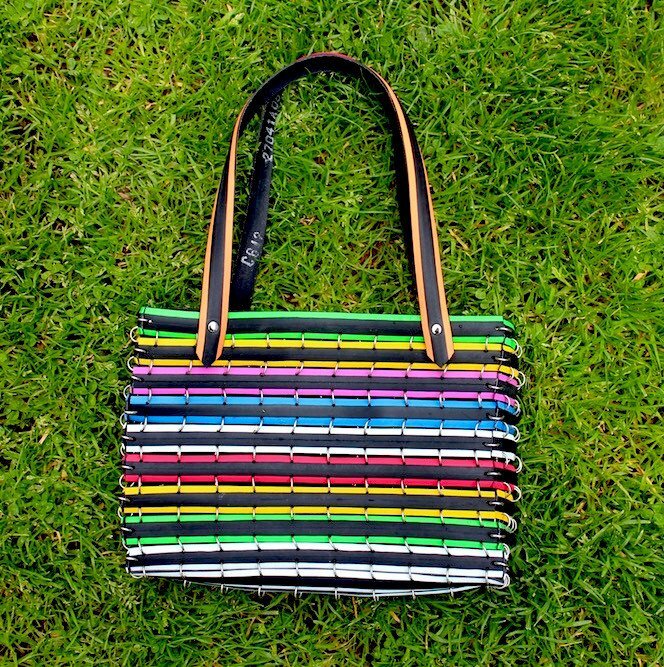 When she arrived home she began working with discarded bicycle tyres, car tyres and inner tubes that she saves from a future in landfill, to develop a visually stunning and environmentally-focused range of belts, jewellery, dog accessories, guitar straps, handbags, clothing, and home decor that have serious green credentials. Every tyre and inner tube has its own story and no two products are identical. Individually collected, retooled and reborn, Laura Zabo’s fashion range is an embodiment of the recycling, low waste movement. Whilst her collection may ease the conscience, the look and style is paramount to her – this is not ‘make do and mend’ but rather a couture makeover for something that would otherwise just be binned. Laura is now introducing a new range of sustainable and eco-conscious sandals and shoes which are made out of rejected car tyres and are totally cruelty-free. These tyres and tubes may have been designed to spend their working life in rotation but, now that they have been saved from the dump, it is their time to shine – now that’s what we call a revolution. From bike lane to high street, Laura Zabo is taking the mundane and making it marvellous; this is high fashion, low impact. Transforming trash and finding an ongoing use for a persistent waste product, this is Up-cycling of the highest order. Laura herself says, “The abundance of trash is a tremendous problem for us and our planet, and we need to make more room for ideas that help us get rid of it or transform the excess, instead of producing more and more. I was inspired by seeing items made by the Maasai for sale in the markets in Tanzania. I realised that I could create fashion that was beautiful but also that would use materials that were destined just to be thrown away, take generations to break down and poison the Earth. You can find Laura’s fashion accessories on here website at www.laurazabo.co.uk. You can also find her on Facebook, Twitter and Instagram.